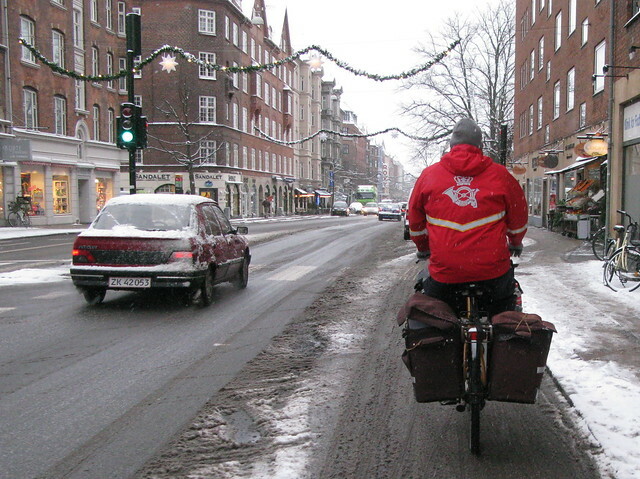 Copenhagen postman, doin' his thang. Rain or shine. Snow or sleet. The packages, letters and messages get out. Just spent a brilliant day at the Copenhagen version of the TED.com talks - TEDx Copenhagen. What a wonderful experience. Great speakers and an information overload - in the positive sense. I was privileged to be invited to speak and I tackled the subject of The Culture of Fear relating to fear campaigns and helmet promotion. Thanks to TED x Copenhagen for an enriching, fruitful day.